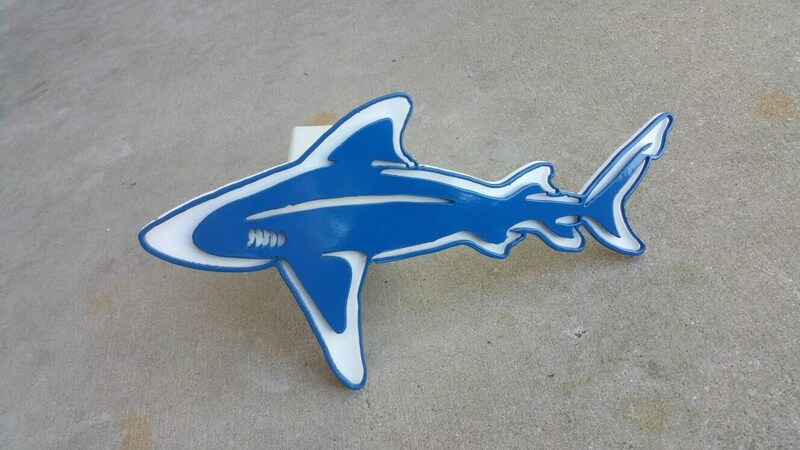 Awesome blue shark trailer hitch cover to add a bit of cool to your ride when you arn't dragging around a trailer full of toys. This one features white for the base and brilliant blue for the faceplate. fastened together with studs and nylock nuts to reveal an awesome piece. We don't use tape or adhesives as they simply will not hold up to the elements and everyday use.